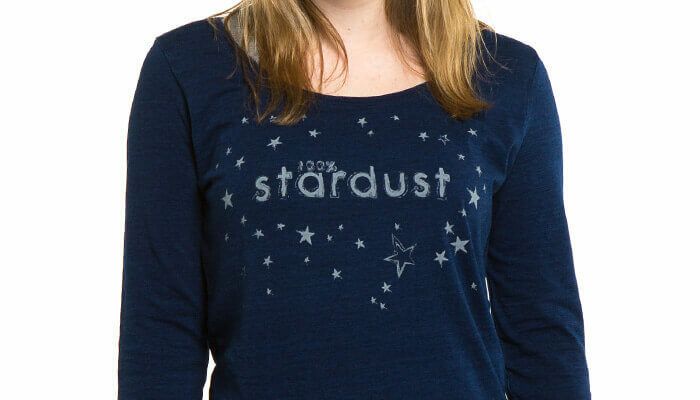 100% Stardust, Long Sleeve Organic Slub T-shirt. 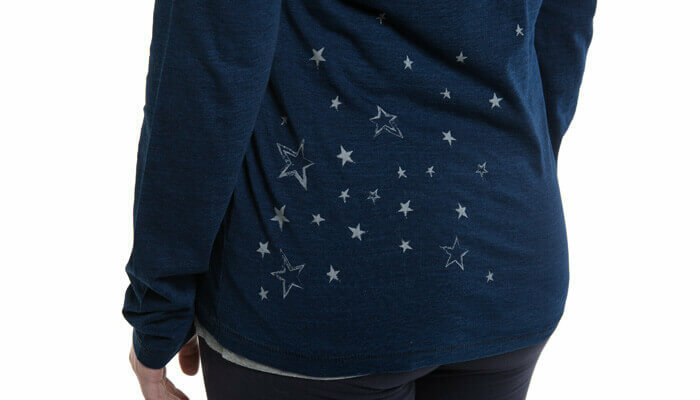 Perfect for layering with your yoga leggings or jeans. 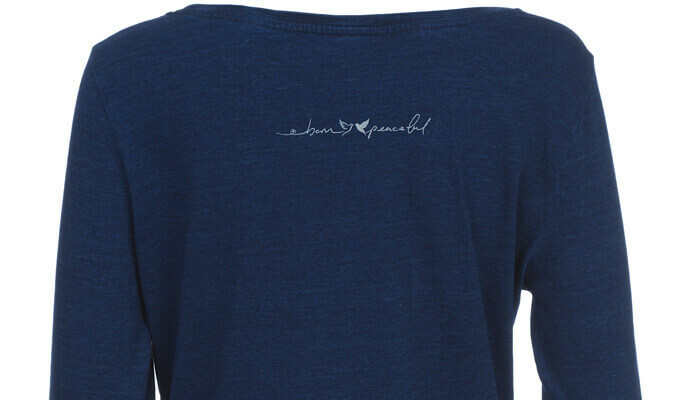 Great for covering up after your Yoga class or just to wear for a relaxed look. 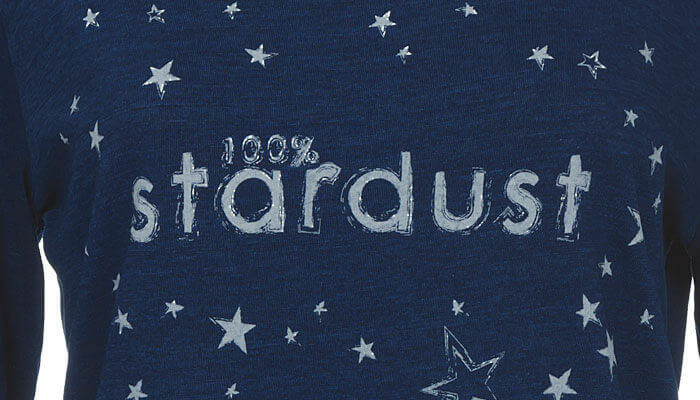 A reminder that we're all made of stardust! 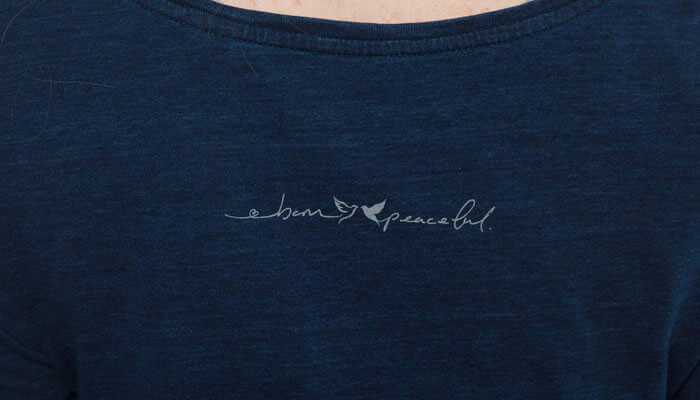 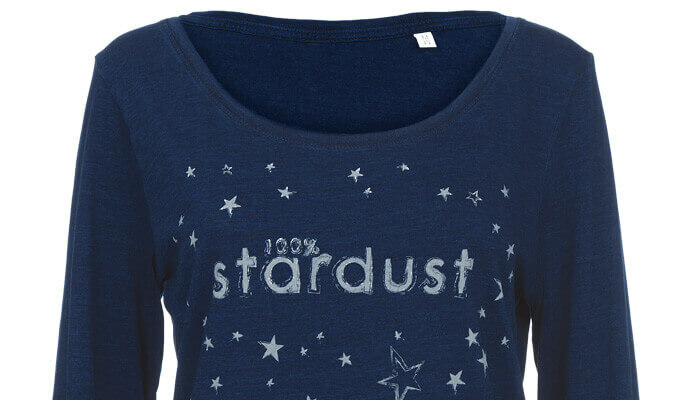 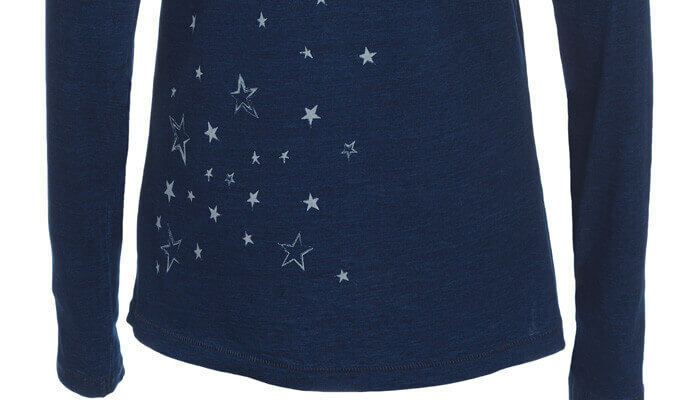 100% Stardust print to the front, Born Peaceful signature and scattered star print to the back.